As a society, the use of sugar and junk food as drivers of fundraising has become the norm. No doubt if we want to see reductions in the prevalence of diet and weight related diseases we need to actively strive to provide fewer opportunities for junk consumption, and when it comes to food based fundraising, no doubt the charitable cause provides both incentive and permission to eat junk. Consequently, when I see the sorts of partnerships like the one described in the email below sent out by Ottawa City Councillor Diane Deans, I think it's worth pointing out that however well-intentioned it might be, it's not in public health's best overall interest. I would like to invite you to the Parkinson’s Shake Up! on June 26th at noon at KS on the Keys Restaurant located at 1029 Dazé Road. 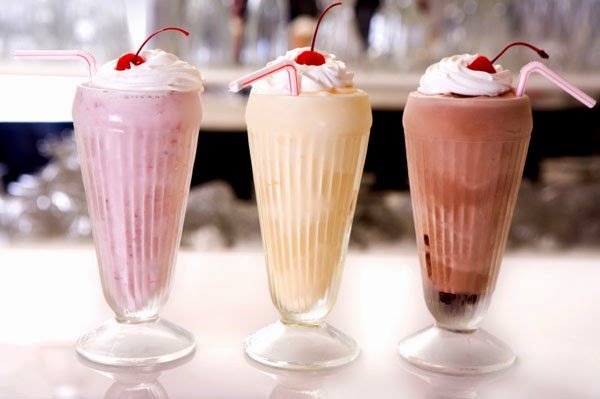 For the entire month of July, KS on the Keys Restaurant will donate $4 from the purchase of every milkshake to Parkinson Society Eastern Ottawa to help provide programs and services in support of those living with Parkinson’s and those caring for them. To help kick off this month-long campaign; I will be handing out free milkshake samples next Thursday between noon and 1:00 p.m.
For every milkshake purchased, or $5 donation during the event, patrons will be entered into a draw to win a prize! Please stop by, enjoy a milkshake, and together we can help support members of the Ottawa community who are coping with this disease. Assuming the Keys Restaurant's milkshakes are average in their caloric and sugar punch, I'd expect each charitable shake to contain the calories of nearly two Big Macs and a literal half cup of sugar (for instance a medium Baskin-Robbins chocolate milkshake contains 930 calories and 24.5 teaspoons of sugar).